Four years before Annie Proulx’s story “Brokeback Mountain” appeared in the New Yorker, William Haywood Henderson published Native, the tale of three gay men ensnared in the politics and prejudices of an isolated ranching town in Wyoming’s Wind River Valley. Blue Parker, a careful twenty-three-year-old ranch foreman, in love with the West and his home in the mountains, finds himself drawn to his new ranch hand, Sam. For the first time in his life, Blue feels the possibility of a romantic connection, and he makes tentative plans to secret himself and Sam away in an idyllic camp high in the mountains. But the arrival in town of Gilbert, a Native American from the Wind River Indian Reservation, a man who fancies himself a modern-day berdache (or Two-Spirit), pushes Blue and Sam in unexpected, dangerous directions. Gilbert attempts to recreate the ancient traditions of his people, but the world has changed. 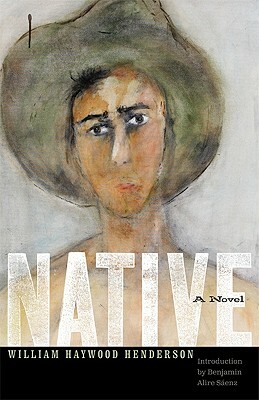 Ultimately, Gilbert must try to find a new place for himself in society, and Blue must choose between his home and protecting the man he loves. William Haywood Henderson teaches writing at the nonprofit Lighthouse Writers Workshop in Denver, Colorado, and is the author of The Rest of the Earth and Augusta Locke. Benjamin Alire Sáenz is a professor of creative writing at the University of Texas at El Paso and the author of books of poetry, collections of short stories, and several novels, most recently Names on a Map.